Most people know that regular exercise is beneficial to maintaining a healthy life. Well, the same holds true for your pets. Dog walking is usually viewed as a way to allow your pet to relieve itself and while that’s true, it’s also a great way to control their weight and keep them healthy. There are many other reasons why this is so important. Regular walks can help with your furry friend’s digestive system. Being on a daily routine can help to relieve constipation. 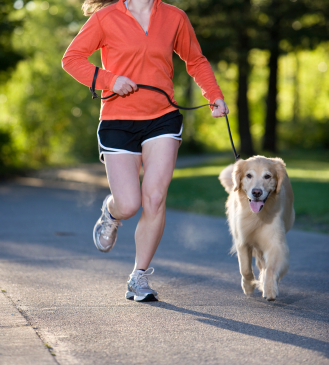 Regular walks can also help with your pet’s behavior. If you give them something to look forward to, they’ll be less likely to destroy items on your house. Continuing with that thought, dog walking can provide an outlet for their energy. Dogs will build up a certain amount of energy every day and if that energy is not expended through daily walks, they will find other ways to get it out. For example, they’ll turn a favorite pair of shoes into a chew toy. Dog walking can also be a helpful tool when training your pet. Tiring out your dog (in a good way, not in an abusive way) can make him or her more submissive and he or she will be more likely to focus on you while you’re training them. Also, there’s an old saying that a tired dog is a well-behaved dog, daily dog walking can calm an energetic or hyper dog. Dogs are natural explorers and they like to roam. They usually will walk in a pack in nature and will often roam for miles searching for food and water so even though you have a domesticated animal, roaming is a part of their natural instinct. Letting them be able to roam for a while everyday will satisfy them and regular walks will prevent your dog from wanting to run away whenever the front door is opened. But remember, you should be walking your dog, they should not be walking you. Regular dog walking will stimulate your pet both mentally and physically. They will be exposed to different sights and smells while outside and this will give their brains a bit of a workout as well. If you walk your dog regularly and expose them to everyday noises and stimuli, it will make them less skittish and more comfortable while outside. They’ll get used to other dogs, people, loud cars, trucks, etc. Dogs that aren’t walked regularly will often become fearful and shy and may feel like they need to protect themselves from people and other dogs. If you own more than one dog, make sure you walk them together. This will help your dogs to bond and will more than likely prevent behavior problems. Regular dog walking can lengthen and improve the quality of life for your pet. And perhaps the best of all is while you’re helping to improve your pet’s life, you can do the same for yours. For more information, visit Metro Dog. Stacey Gotsulias writes for a variety of blogs.